The Inlanta Mortgage Janesville branch has moved to a new office location. 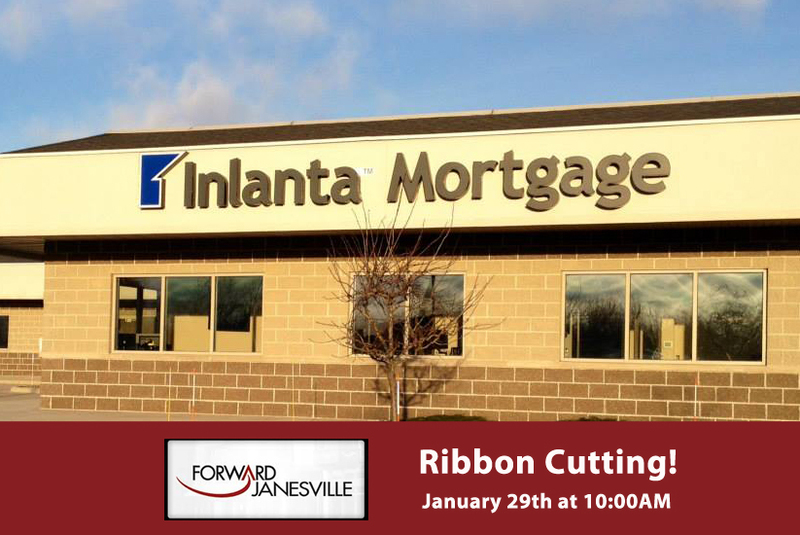 A ribbon cutting with Forward Janesville, an economic development organization assisting area businesses and individuals, is scheduled for Wednesday, January 29, 2014 at ten o’clock. An open house is scheduled for February 26, 2014 at four o’clock in the afternoon. The Inlanta Mortgage Janesville team has relocated to 4407 Milton Ave. Suite 126 in Janesville, WI. Branch Manager Craig March moved his team to a more convenient location for customers and to make room for his expanding mortgage staff. The February 26th open house will be the perfect opportunity for both customers and real estate partners to meet the team and check out the new office location while enjoying food, drinks and door prizes. Inlanta Mortgage’s Janesville office is located at 4407 Milton Ave. Suite 126 Janesville, WI. Contact the Inlanta Mortgage Janesville team at 608-314-1276 or visit inlanta.com/janesville. Headquartered in Brookfield, Wis., Inlanta Mortgage was established in 1993. The company has grown to 30 branches in 16 states and over 200 employees. The company is an agency approved lender for Freddie Mac, Fannie Mae, FHA/VA, FHA 203K and USDA. Inlanta Mortgage also offers numerous state bond agency programs. Inlanta Mortgage was named a Top Workplace in 2012, has been listed on Mortgage Technology’s Top 25 Tech Savvy Lenders List every year since 2010, was on Mortgage Executive Magazine’s “Top 100 Mortgage Companies in America” in 2011 and 2012, and is on the Scotsman Guide’s 2012 Top Mortgage Lenders list. This entry was posted in Community Spotlights, Join Inlanta Mortgage, News & Events and tagged Craig March, Forward Janesville, Janesville, Open House, Ribbon Cutting, Wisconsin by Inlanta Mortgage. Bookmark the permalink.